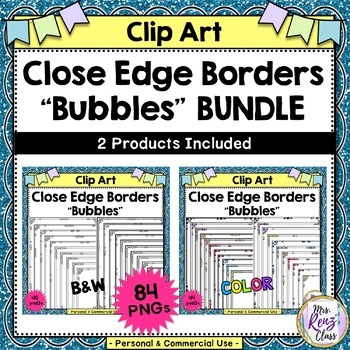 This bundled set has 84 PNG close to the edge BW and colored border images with a bubble theme that you can use to spice up your worksheets, student projects, task cards, tor add to commercial products! 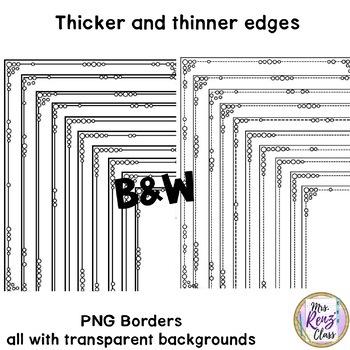 The borders are designed to fit closely to the edge of an 8.5 x 11 inch sheet of paper but you can shrink them to the size you want. 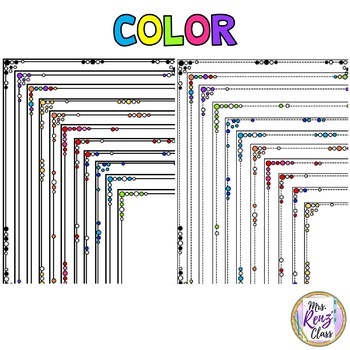 They work great for task cards, too! See the visual preview to see this set close up! 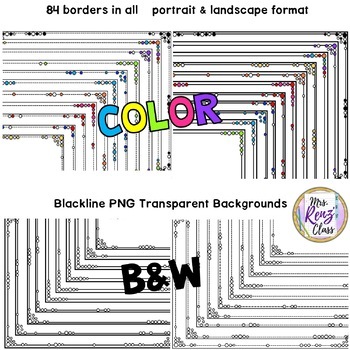 For commercial use in printed products, just credit and link to my TpT store.